A new dimension of effective skin care. Creams and skin care products help revitalize the body’s circulatory system. That enables the valuable agents therein to reach the subcutaneous tissue, i.e. the place where wrinkles are created. Refrigeration leads to considerable improvement and results that are worth looking at. Exposed creams quickly turn rancid. Products, irrespective of whether or not they contain preservatives, often bear the notice "Please store in a cool place". Cosmetic jars are filled under sterile conditions and yet bacteria immediately start attacking the products as soon as they come into contact with the surrounding air. The warmer the surroundings, the quicker they multiply and so the skin care products start to lose their efficacy. These bacteria feed off the valuable ingredients and form damaging acids that reduce the product’s efficacy and can cause allergic reactions on your skin in the worst cases. Many ingredients are coated with a very thin, highly sensitive layer of lecithin that guarantees that their essential essences penetrate directly into the subcutaneous skin layers. These active ingredients can only reach the lower layers and unfold their protective anti-ageing characteristics if this sensitive, protective layer remains intact. Perfect refrigeration stabilizes this ultra-thin layer so the ingredients can work to maximum effect. We put butter in the fridge, but face creams, some costing over 100 € are left out in hot and steamy bathrooms. Cold constricts blood vessels, thereby reducing swelling. This reduces the flow of fluid into the soft tissue, thus soothing and decreasing redness of the skin. 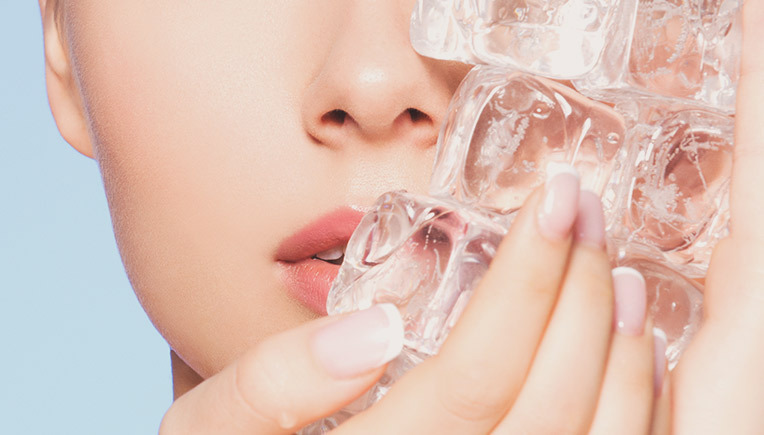 Chilled skincare products awaken the senses and stimulate lymphatic drainage. Cooled moisturizers, eye care, treatment serums, make up and toners can work wonders! They not only have a nice sensory feel, but the cooling effect will take away puffiness and boost circulation to the skin ensuring a healthy glow. Keep your skincare products* in the refrigerator to boost circulation.